My oven roasted chicken wings are simple and easy to make but still loaded with tons of flavors. Rinse the raw wings under cold running water. Chop each wing into two parts. 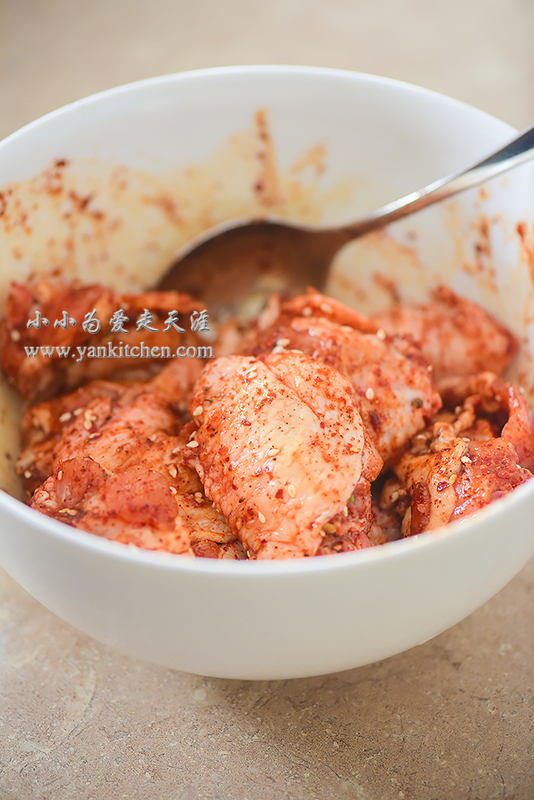 Add soy sauce, ground chili, sugar, garlic, oyster sauce, rice cooking wine, white sesame seeds, black pepper and salt. Mix the wings and seasoning. Allow them to marinate for at least 2 hours or overnight. Preheat a toaster oven to 400F/ 204C. if you are using a large oven, preheat it to 425F/ 218C. Line up the baking pan with aluminum foil . Brush or spray the foil with oil. Place wings about 1 inch apart on the baking pan. Roast them for 40 to 50 minutes. 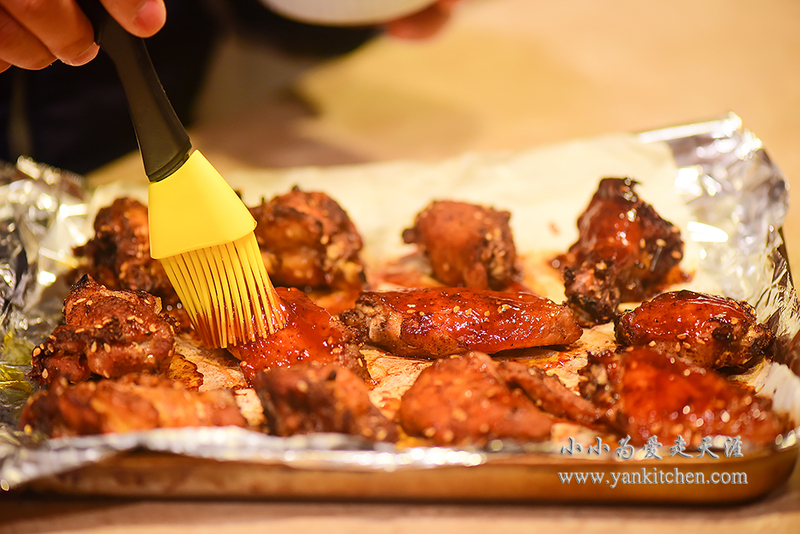 Brush the wings with teriyaki sauce, send them back to the toaster oven for 5 minutes, and then brush them again. Repeat the process for a few times until the wings are beautifully colored.